Aspect Biosystems, a growing biotechnology company in the field of 3D bioprinting and tissue engineering, is entering into a collaboration with the Institute for Technology-Inspired Regenerative Medicine, aka MERLN, at Maastricht University in the Netherlands. This collaboration includes the placement of an RX1 Bioprinting Platform in Professor Lorenzo Moroni’s Lab, where it will be used to develop kidney tissue by the head of bioprinting research, Dr. Carlos Mota. Under the terms of the collaborative research agreement, Aspect has an option to further develop and commercialize products based upon the results of the research. 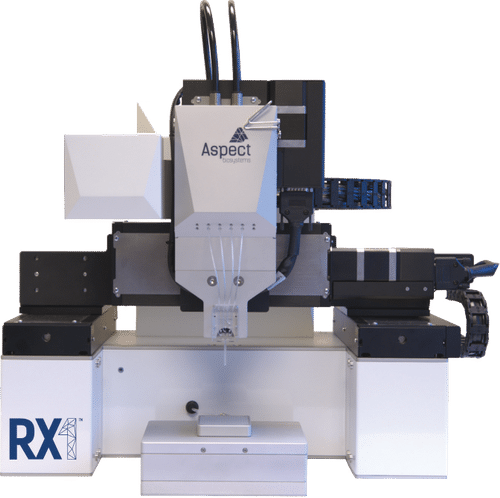 Aspect Biosystems RX1 Bioprinting Platform. The Moroni Lab is part of the MERLN institute at Maastricht University, the Netherlands. The research group was founded in 2009 at the University of Twente, the Netherlands, laying down its roots on biofabrication technologies to control cell fate. Today, the Moroni Lab has several local and international collaborations. Locally, we contribute to the Brightlands ecosystem, with which a new program on 3D printing for biomedical applications is being established. The vicinity of the Maastricht University academic hospital further facilitates strong collaborations with clinical departments. The Institute for Technology-Inspired Regenerative Medicine (MERLN) operates at the interface of biology and engineering and aim to maximize outreach at the level of public involvement, development, and the commercialization of research.